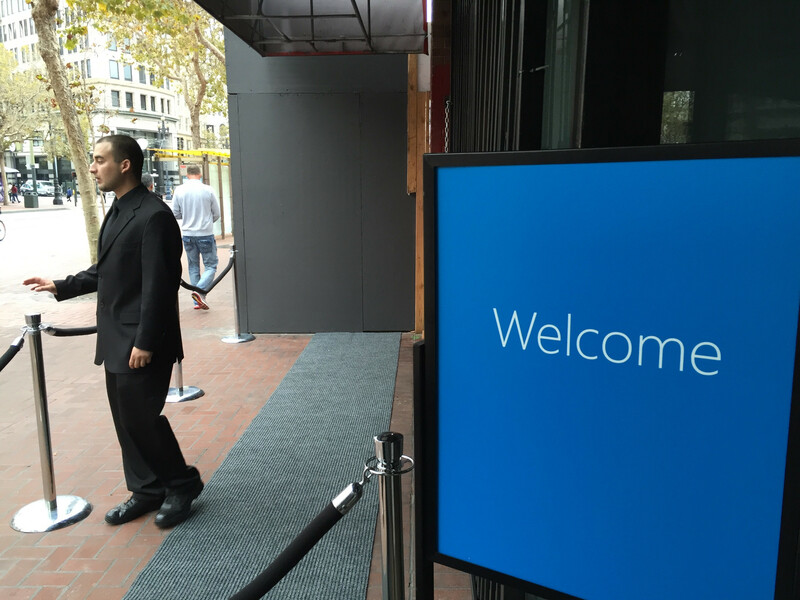 Moments ago, Microsoft held it's live event in San Francisco, California where they have just unveiled their latest OS. The event was being held behind closed doors, out of view from the public with around fifty journalist attending, blogging the announcement away. At 12PM CT, the lights began to dim and an announcement was overheard throughout the auditorium: "Ladies and gentlemen please take your seats, the presentation will begin shortly." Taking the floor, Windows Chief Terry Myerson walks across the stage and takes his place near the podium saying, "Our new Windows must be built from the group up for a mobile-first cloud-first world. Start with the name. What should the name of the new Windows be? It wouldn't be right to call it Windows 9. Windows One. 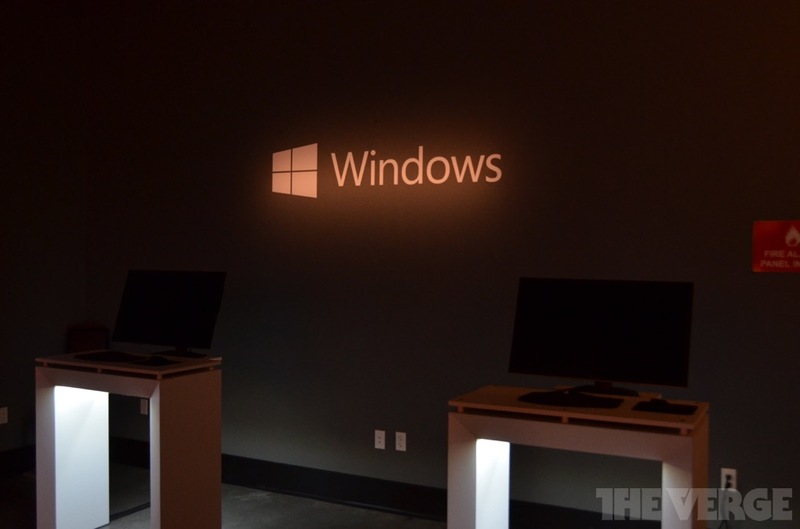 But unfortunately, Windows 1 has been done." After trolling the journalists, he began to describe how they wanted their new OS to be built from the ground up so that it would be able to link all devices, whether they are on mobile or on PC. "That new Windows is Windows 10." Windows 10 is another version of the Windows 8 OS as it is a platform that is based on Applications. All of the applications will be made available across each platform your account is linked to through their new store, The One Store. The one store will be a place where you can look for new applications to organize your files and keep them all updated. 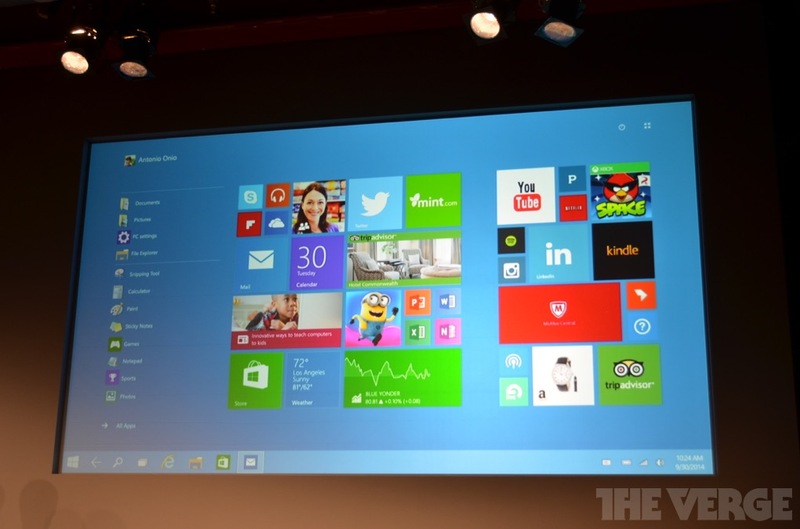 You may pick and choose the apps you like and store them on the new customisable start menu. 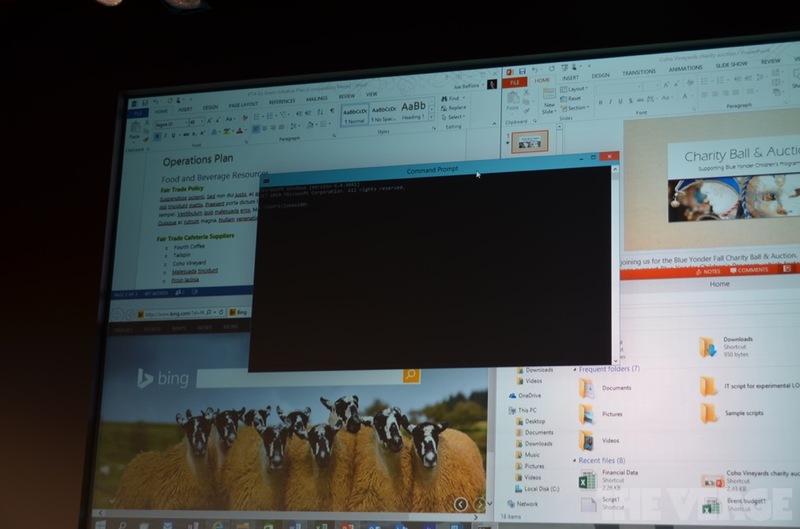 The start menu was a reimagined design that combined features from both Windows 7 and 8, allowing for applications to be placed and resized to fit inside of the menu. Another feature that you find that has been updated since its predacessor is the search experience. The Universal Search feature will not only pull information from your computer, but also from the internet. 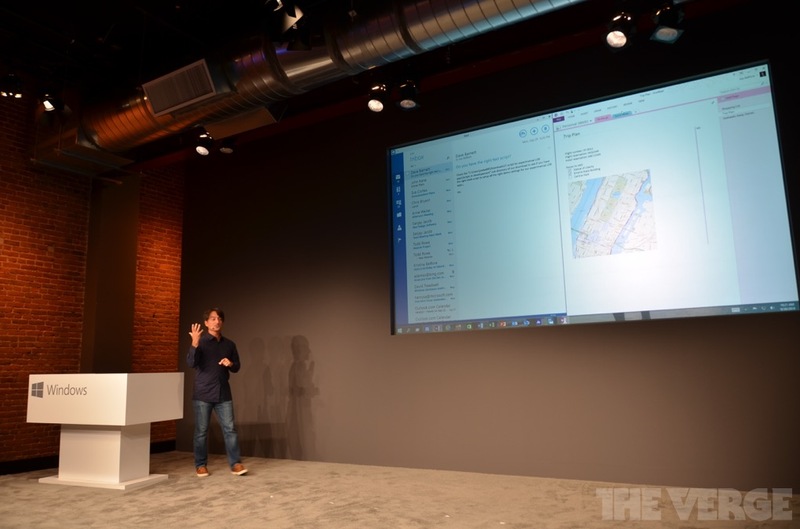 Multitasking in Windows 10 has never been easier. 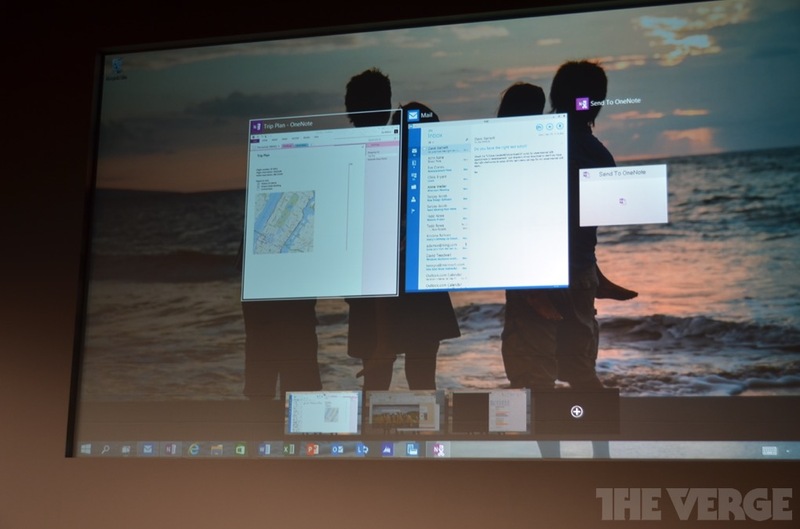 They introduced a new feature into the OS called Task View, and it is centered on the taskbar. The taskbar is similar to OS X's Expose but instead of having all of the apps visible at the bottom, they are spread out across the screen when the taskbar button is pressed. It is accompanied by the "Snap Assist" UI that allows you to grab multiple apps from different desktops as well as snap the apps onto each side of the screen. For those with touchscreen PCs, this feature can be accessed by swiping from left to right on the computer screen. The touch screen feature is interchangeable, allowing you to activate it or turn it off whenever you so desire just by touching the screen. This Continuum feature will not only allow for a smooth transition between the two functions, but also causes the start menu as well as other core components to change in not only design, but functionality. 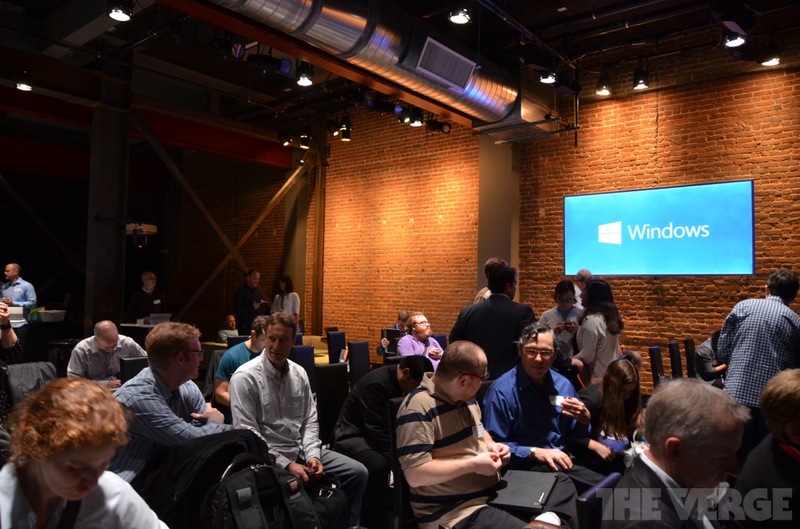 The update from Windows 8 to Windows 10 will be free, but Windows 7 users will have to pay the undetermined price. More about the OS and Universal Apps will be discussed at Microsoft's Build Conference in April. But before that, companies and users will have the ability to try a Technical Demo of their software as apart of their Insider Program which is set to take place starting tomorrow, October 1st. So check back here to find out when you can get your test preview. 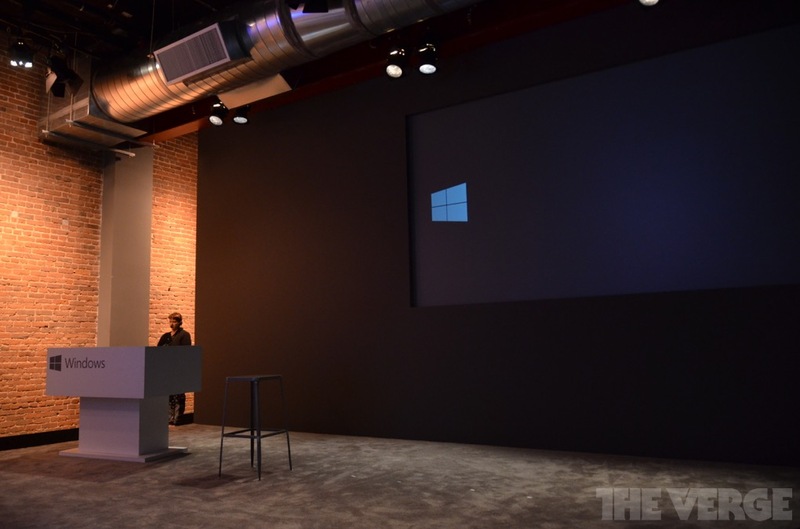 Windows 10 will be ready to ship sometime "later in the year" of 2015. Q: Any incentive for Windows 7 and Windows XP users to upgrade? A: "We want to talk about the overall product family." No news on upgrade pricing, etc. Q: Can you talk about the name? Seems weird going from Windows 8 to Windows 10. A: This product, when you see the product in your fullness I think you'll agree with us that it's a more appropriate name. A: Having that core common code makes developers more efficient. As long as we do the right tailoring and we feel like we're on the right track. A: (Befliore): We're trying to blend the experience across PCs, tablets. The best way to think of it, it will be a natural step forward from the Windows 8.1 model. 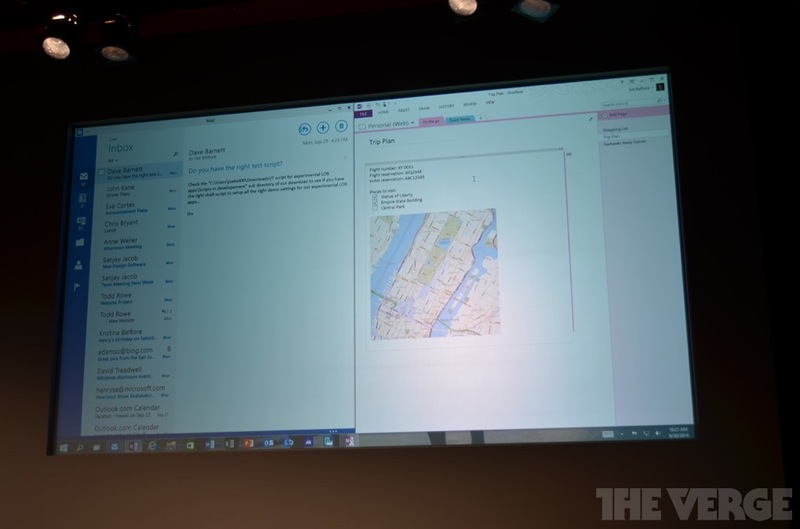 A: It will not have a desktop (next version of Windows Phone). A: question about the challenge of designing a platform across all the devices. A: We're building a platform that scales, from small devices all the way up to Azure. A: (Belfiore): Part of the reason we organized the way we did, is there will be champions of every device type. It was intentional to put together the PC, tablet, phone. Similar capabilities, but at the end they differ. A: You're likely to be an owner of both devices. The real rub comes in the middle... convertible devices. There's a lot of magic in the devices that can be a great laptop and also flexes to be a tablet. A: We feel pretty positive about the outcome we're gonna get, with a single design approach. A: We also have a core team that builds common technology that's shared across all devices. 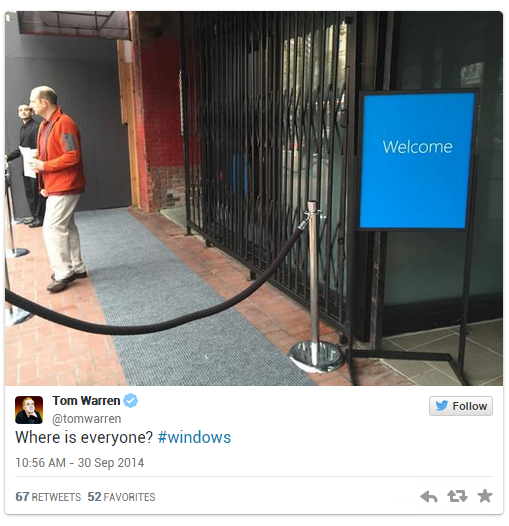 Q: When it comes to your enterprise customers about Windows 10. 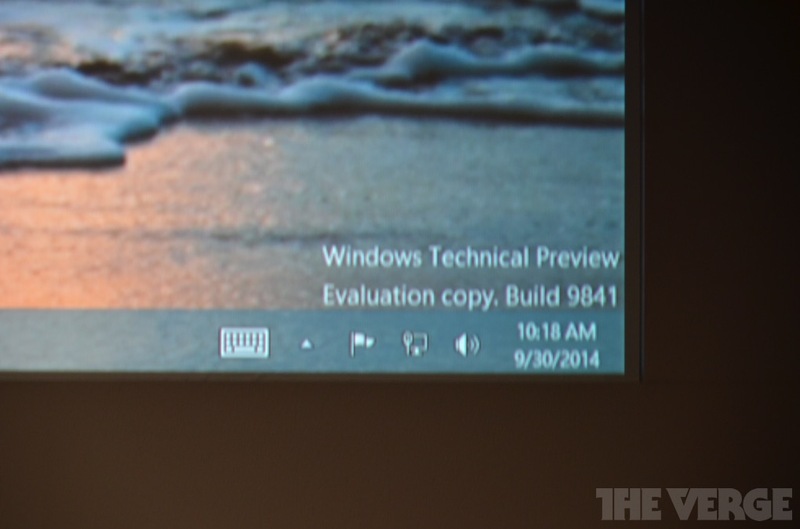 How big has the push back been to get Windows away from Live Tiles, back to Windows 7 stuff? 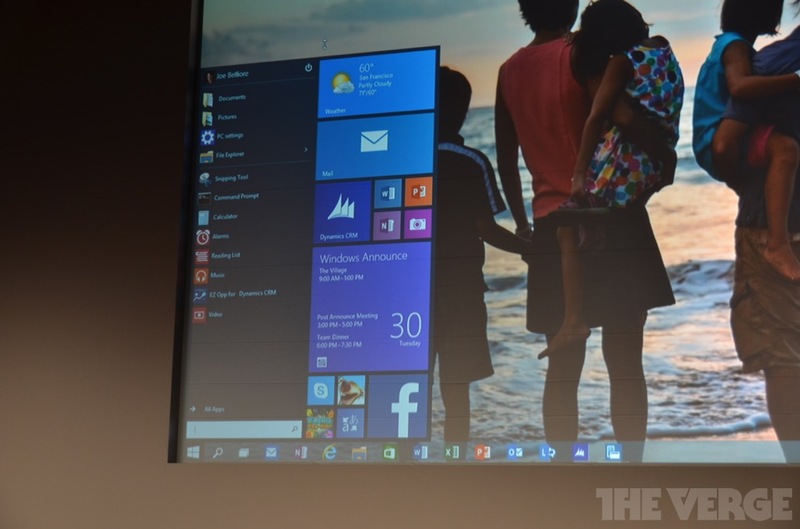 A: We don't hear pushback that we don't like Live Tiles. We hear pushback about too much training. A: We hear people saying, we have this giant problem of diverse base of mobile devices we have to manage. 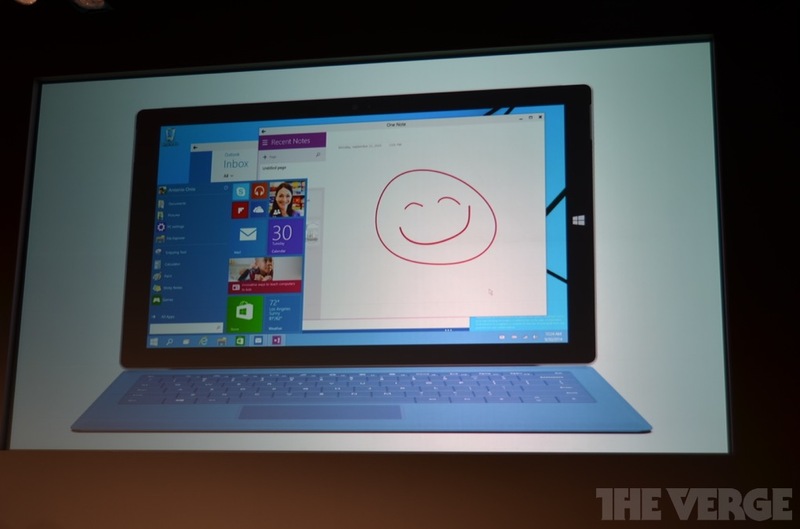 A: If you look at Windows 8 users on touch devices, they have higher satisfaction than those on Windows 7 devices. Windows 7 users have higher satisfaction on mouse and keyboard devices than Windows 8. Q: How are you going to handle feedback? A: We've never done this before. Hopefully you become an Insider, you'll see things you haven't seen before. There will be forums available for discussions amongst insiders, and our engineering team will be available. A: It's a little bit of a journey, we'll learn. Q: Is there going to be a staggered release for phones and ARM tablets? A: We're building it at all the same time. We don't have all the answers about how it will release right now. Q: Do you feel confident you can put out a product that delights enterprise and consumers? A: One of the challenges or opportunities we face with Windows is the breadth of customers. A: We know there's people who want to live on the edge with us. They're willing and want to run on our pre-release software. A: At the other end of the spectrum, there are hospital emergency rooms and pacemakers running Windows. It would be the wrong thing (always up-to-date) on those devices. A: We're balancing right level of freshness and stability. A: We definitely think we can build a user experience that's delightful to both those users. A: People who use a PC, phone, tablet to work are the same humans who use PC, phone, or tablet at home to play games. A: We have an interesting perspective because we come originally from productivity, working on mobile. Fundamentally it feels like a problem we can solve. Q: Are you guaranteeing yet that all apps built for Windows Store will work on this? What happens to ARM-based Surfaces? 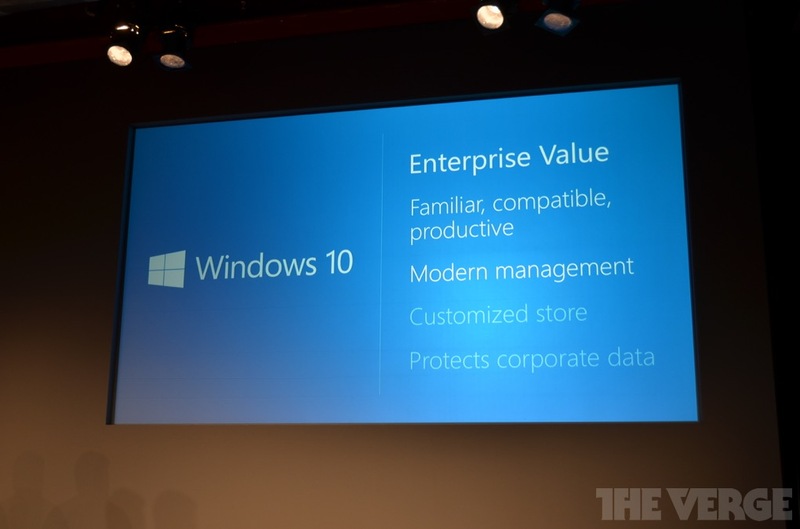 A: We're building Windows 10 to support the apps that are out there already. A: We're committed to keeping those apps running. A: On second Q, we're building the software to update vast majority of devices out there. A: Our general intent is to make this available as an update for the vast majority of devices. Q: How much of a threat does Microsoft consider Apple and Google in the enterprise? A: We've listened to the customer, what they need from us. The core, we're product people. What we do is build a product. A: We listen as carefully as what they're saying to us. Windows 10 is our effort to respond. Let's build the best darn product we can to delight these customers. That's the best competitive response we can have. Q: How long will Windows 10 last? 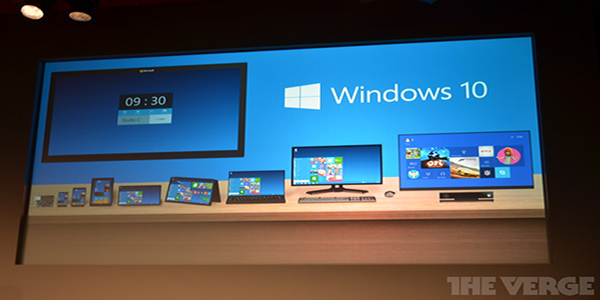 A: There's these different devices in the Windows world. One of the things we offer for enterprises is a mission critical level of support. Microsoft will support them for a long time. We have ways to support our products for well north of 10 years. OK and that's a wrap. We're going to play with Windows 10.